What is shamanism, and to what extent was it present among the pre-Christian Norse and other Germanic peoples? “Shamanism,” like “love,” is a notoriously hard word to define. Any meaningful discussion of an idea, however, depends on the idea first being clearly defined so that everyone understands exactly what is being discussed. For our purposes here, shamanism can be considered to be the practice of entering an ecstatic trance state in order to contact spirits and/or travel through spiritual worlds with the intention of accomplishing some specific purpose. It is a feature of countless magical and religious traditions from all over the world, especially those that are tied to a particular people and/or place. 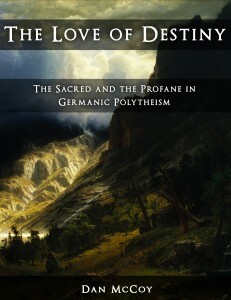 The pre-Christian religion of the Germanic peoples teems with shamanic elements – so much so that it would be impossible to discuss them all here. Our discussion will have to be confined to those that are the most significant. We’ll start with Odin, the father of the gods, who possesses numerous shamanic traits. 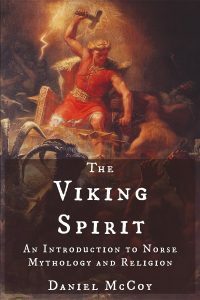 From there, we’ll examine shamanism in Norse magical traditions that were part of the female sphere of traditional northern European social life, and then move on to the male sphere of the berserkers and other “warrior-shamans” before concluding. Odin, the chief of the gods, is often portrayed as a consummate shamanic figure in the oldest primary sources that contain information about the pre-Christian ways of the Germanic peoples. His very name suggests this: “Odin” (Old Norse Óðinn) is a compound word comprised of óðr, “ecstasy, fury, inspiration,” and the suffix -inn, the masculine definite article, which, when added to the end of another word like this, means something like “the master of” or “a perfect example of.” The name “Odin” can therefore be most aptly translated as “The Master of Ecstasy.” The eleventh-century historian Adam of Bremen confirms this when he translates “Odin” as “The Furious.” This establishes a link between Odin and the ecstatic trance states that comprise one of the defining characteristics of shamanism. Odin’s shamanic spirit-journeys are well-documented. The Ynglinga Saga records that he would “travel to distant lands on his own errands or those of others” while he appeared to others to be asleep or dead. Another instance is recorded in the Eddic poem “Baldur’s Dreams,” where Odin rides Sleipnir, an eight-legged horse typical of northern Eurasian shamanism, to the underworld to consult a dead seeress on behalf of his son. Odin, like shamans all over the world, is accompanied by many familiar spirits, most notably the two ravens Hugin and Munin. The shaman must typically undergo a ritual death and rebirth in order to acquire his or her powers, and Odin underwent exactly such an ordeal when he discovered the runes. Having done so, he became one of the cosmos’s wisest, most knowledgeable, and most magically powerful beings. He is a renowned practitioner of seidr, which he seems to have learned from the goddess Freya. Freya is the divine archetype of the völva, a professional or semi-professional practitioner of the Germanic magical tradition known as seidr. Seidr (Old Norse seiðr) was a form of magic concerned with discerning the fated course of events and symbolically weaving new events into being in accordance with fate’s framework. To do this, the practitioner, with ritual distaff in hand, would enter a trance and travel in spirit throughout the Nine Worlds accomplishing her intended task. This generally took the form of a prophecy, a blessing, or a curse. The völva wandered from town to town and farm to farm prophesying and performing other acts of magic in exchange for room, board, and often other forms of compensation as well. The most detailed account of such a woman and her doings comes from The Saga of Erik the Red, but numerous sagas, as well as some of the mythic poems (most notably the Völuspá, “The Insight of the Völva“) contain sparse accounts of seidr-workers and their practices. Like other northern Eurasian shamans, the völva was “set apart” from her wider society, both in a positive and a negative sense – she was simultaneously exalted, sought-after, feared, and, in some instances, reviled. However, the völva is very reminiscent of the veleda, a seeress or prophetess who held a more clearly-defined and highly respected position amongst the Germanic tribes of the first several centuries CE. In either of these roles, the woman practitioner of these arts held a more or less dignified role among her people, even as the degree of her dignity varied considerably over time. Such was not usually the case for male practitioners of seidr. According to traditional Germanic gender constructs, it was extremely shameful and dishonorable for a man to adopt a female social or sexual role. A man who practiced seidr could expect to be labeled argr (Old Norse for “unmanly;” the noun form is ergi) by his peers – one of the gravest insults that could be hurled at a Germanic man. While there were probably several reasons for seidr being considered to fall under the category of ergi, the greatest seems to have been the centrality of weaving, the paragon of the traditional female economic sphere, in seidr. Still, this didn’t stop numerous men from engaging in seidr, sometimes even as a profession. A few such men have had their deeds recorded in the sagas. The foremost among such seiðmenn was none other than Odin himself – and not even he escaped the charge of being argr. We can detect a high degree of ambivalence seething beneath the surface of this taunt; unmanly as seidr may have been seen as being, it was undeniably a source of incredible power – perhaps the greatest power in the cosmos, given that it could change the course of destiny itself. Perhaps the sacrifice of social prestige for these abilities wasn’t too bad of a bargain. After all, such men could look to the very ruler of Asgard as an example and a patron. They run howling and foaming through the groups of fighting men. Some of them wear animal skins, some are naked, and some have thrown away shields and armour to rely on their consuming frenzy alone. Perhaps some of the greatest warriors do not take the field at all, but remain behind in their tents, their minds nevertheless focused on the combat. As huge animals their spirit forms wade through the battle, wreaking destruction. This combat frenzy (“going berserk”) was one of the most common and most potent forms that Odin’s ecstasy (óðr) could take. In such a battle-trance, these hallowed warriors bit or cast away their shields, the symbolic indicators of their social persona, and became utterly possessed by the spirit of their totem animal, sometimes even shifting their shapes to become a bear or a wolf. By extension, they achieved a state of unification with the master of these beasts and the giver of this sublime furor: Odin. Given the prominence of shamanism in other traditional northern Eurasian societies, it would be shocking if it were absent from traditional Germanic society. So it’s hardly surprising to find, instead, that the established social customs of the pre-Christian Germanic peoples brimmed with shamanic elements. It’s just as important, however, to stress the uniquely Germanic form of these elements. At the center of the Germanic shamanic complex is the “Allfather,” Odin, who inspires the female seidr-workers and the male “warrior-shamans” alike with his perilous gift of ecstasy, granting them an upper hand in life’s battles as well as communion with the divine world of consummate meaning. Dubois, Thomas A. 1999. Nordic Religions in the Viking Age. p. 135-137. Heide, Eldar. 2006. Spinning Seiðr. In Old Norse Religion in Long-Term Perspectives: Origins, Changes and Interactions. Edited by Anders Andrén, Kristina Jennbert, and Catharina Raudvere. p. 167. The Poetic Edda. Lokasenna 24. Price, Neil S. 2002. The Viking Way: Religion and War in Late Iron Age Scandinavia. p. 394.